Throwing up the U may have been invented at a UM-FSU football game in 1984. In the past, Miami Magazine credited former UM cheerleader Bill Tigano, who graduated in 1993, as the creator of the hand gesture. 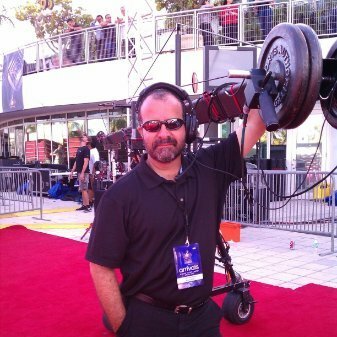 However, Juan Valladares, who attended the theater program at UM between 1984 and 1985, said he used his hands to flash the U during halftime at a football game against the Florida State Seminoles on Sept. 22, 1984. It was at that Canes game that Valladares had his first exposure to Florida State fans’ tomahawk chop and war chant. At halftime during the Miami-Florida State game in 1984, the Canes were down, and all Valladares could hear was the Seminole war chant, with more than a third of the stadium chopping. He offered his friends an alternative to the “Snort cocaine” chant: throw up the U.
Valladares formed his fingers into the shape of a U and explained to his drama buddies that it was supposed to look like the U on the players’ helmets and also like the goal post. “I immediately saw it as very cool, but the guys I was with thought it was really stupid,” he said. Miami may have gone on on to lose the game 38-3, but the Canes won something huge in its new tradition. “It feels great to finally know that what I did 30 years ago at age 19 would become such a universally recognized sign,” Valladares said. Still, throwing up the U did not catch on for several years. UM alumnus Ed Kemper said that he remembers reacting dismissively when Valladares made the U hand gesture at the FSU game, and most likely cracked a joke about it. Valladares said that he continued to flash the U at Seminoles, Gators and other rivals, but most people did not understand what he was doing. Typically these strangers would look at him funny. Tigano first thew up the U in 1992, also at a home game against Florida State. At that game, football fans in the stands motioned their U-shaped hands in sync as the Band of the Hour played “The Imperial March” from the “Star Wars” franchise. 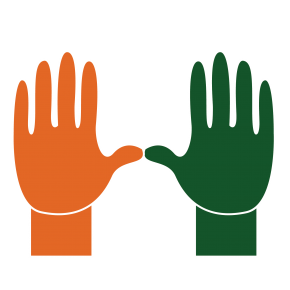 Valladares said he first started to notice more people throw up the U in the 1990s, but that it became especially prevalent after the release of the Billy Corben documentary “The U,” released in 2009. Valladares has shared his story with countless people over the years, many who respond in disbelief with “Yeah, right!” and others who believe him. 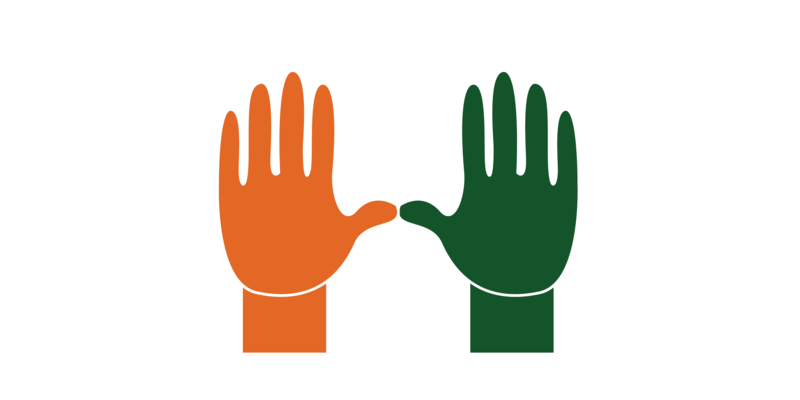 When he read a story published in The Miami Hurricane that mentioned Tigano first throwing up the U in 1992, Valladares realized he really may have been the first. “I’ve told it many times, and I finally have some vindication because I’ve been telling this to my wife for 27 years,” Valladares said. Editor’s Note: Valladares does not have any photos of himself throwing up the U in 1984. TweetUp: What’s your favorite memory of a UM-FSU game?